Originally the name for Russian revolutionaries of the 1860s and 1870s, narodniki meaning "going to the people". The Narodniks formed in response to the growing conflicts between the peasantry and the kulaks (See: Rural Russia for more background). The groups did not establish a concrete organisation, but shared the common general aim of overthrowing the monarchy and kulaks, and distributing land among the peasantry. The Narodniks generally believed that capitalism was not a necessary result of industrial development, and that it was possible to skip capitalism all together, and enter straight into a kind of Socialism. The Narodniks believed the peasantry was the revolutionary class that would overthrow the monarchy, regarding the village commune as the embyro of Socialism. The Narodniks, however, did not believe that the peasantry would be able to achieve revolution on their own accord, but instead that history could only be made by heroes, outstanding personalities, who would lead an otherwise passive peasantry to revolution. In the spring of 1874, the conflict between the kulaks and peasantry brought turbulence to Russia's urban centres, and the Narodnik intelligentsia left the cities for the villages, going "among the people" (hence their name), attempting to teach the peasantry their moral imperative to revolt. They found almost no support. The Tsarist police (Okhrana) responded to the attempt with steeled repression: revolutionaries and peasant sympathisers were beaten, imprisoned and exiled. In 1877, the Narodniks came to their height with thousands of revolutionaries and peasants in support. The movement was again, however, swiftly and brutally crushed. 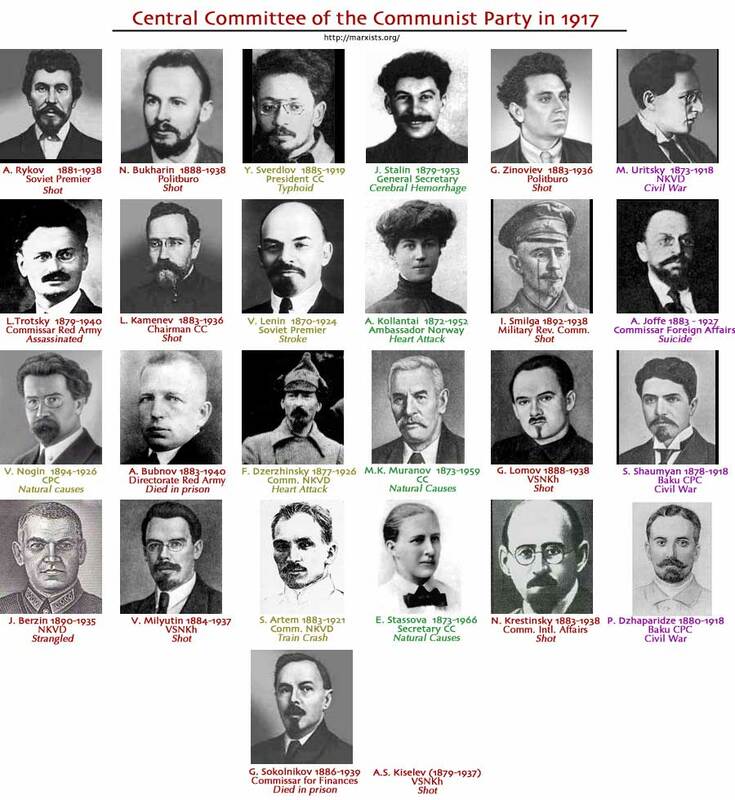 Responding to repression of open, spontaneous forms of organisation thereto taken, Russia's first organised revolutionary party formed: People's Will (Narodnaia Volia), with a new revolutionary programme suited to the extremely repressive conditions: terrorism led by a secret society. Although the People's Will Party did not last for long, later, the Socialist-Revolutionaries, Popular Socialists, and Trudoviks all shared similar tactics, ideas and practices originally set down by the Narodniks. 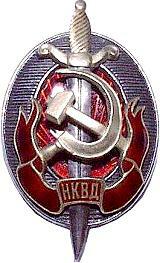 The NKVD (People's Commissariat of Internal Affairs) were the Soviet Secret Police from approximately 1922 to 1954. While the Soviet Secret Police technically underwent 10 bureacratic name changes in just 74 years, the agency essentially went through three main periods, of which the label NKVD can be used to describe one period. The NVKD was among the most brutal, repressive, and inhumane police organisations of human history. The NKVD's duties, while multifaceted, included the administration of the gulag's and prison system, the police, internal affairs for the police, and served as the main apparatus for carrying out the purges and mass executions of Communists and innocent Soviet civilians in the 1930s. History: On January 23, 1922, the CheKa underwent reorganisation, becomming the GPU (State Political Administration), and was integrated into the NKVD. Two years later, the GPU was renamed OGPU and removed from NKVD control. In May 1934, another reorganisation of the NKVD took place, putting the GPU once again under the NKVD, renaming its section GUGB (Main Administration of State Security). In 1946, the NKVD changed its name to MVD (Ministry of Internal Affairs). June 17th, 1935, opened the flood gates of NKVD terror on the Soviet population. While the agency had gone through varying periods of repression in the past, nothing would compare for what was to come. The Council of People's Commissars decreed on this day that the NKVD, while needing consent of a prosecutor to make an arrest, were permitted to arrest members of the Soviet Government up to and including the Central Executive Committee. All such arrests had to be approved, however, by the Chairman Mikhail Kalinin. This power would lead to devasting results. At its height in January 1, 1941, the NKVD held 1,500,524 Soviet people in prisons and gulags. Death rates while incarcerated (due to hunger, exhaustion, disease, and natural causes) varied from 5-10% of all new arrivals. The vast majority of those in prison were men (~ 93% from 1934 - 1941), with 50-70% (depending on the year in question) between the ages of 25 and 40. Those with a primary education or who were semi-literate were the most likely in prison, steadily representing around 80% of the total. (Data from: The History of the Gulag, Khlevniuk, Yale University Press, 2004, pages 307-319). Russian name for the People's Will Party. The German "Government of Peoples' Commissars" considered itself a provisional government and announced elections to a Constituent Assembly. Against the advice of Luxemburg and Liebknecht the Berlin Congress of the Communist Party voted 62 to 23 to boycott the elections. Elections were held on January 19, 1919, after Luxemburg and Liebknecht were executed by the government. Women participated for the first time. The Social Democrats emerged strongest with 11,500,000 votes and 163 seats out of 423. The Assembly claimed to disown German militarism and chose Weimar with its association with Goethe, Schiller, Bach and Liszt, as its venue. It commenced its sessions on February 6th. The constitution, the work of Otto Preuss, was a model bourgeois constitution, but for all its perfection broke down in crisis-torn Germany, and was finally torn up by Hitler. Set up by the Communist Party of Great Britain in 1925 to mobilise left-wingers in and around the Labour Party. It achieved some success, but was closed down when the CPGB adopted the ‘class against class’ orientation. Organized in 1924 as a left-wing group in the British Trades Union Congress. A trade union organization established in England in 1845. Its activities did not extend beyond the scope of economic struggle for better conditions of sale of labor power, for better labor laws. The Association existed until the early '60s, but after 1851, it did not play an important part in the trade union movement.